As the days get shorter and the temperatures outside begin to cool, the start of a new season is visible. The falling leaves outside provide a wonderful metaphor for us all to think about changes and renewal. It’s a time to discover which parts of ourselves we’d like to embrace and expand upon, and which parts of our summer skin we’d like to shed. During this season of change, FORWARD is expanding too. We are excited about our plans to evolve from a project of the DuPage County Health Department towards independence by asking the DuPage Foundation to serve as our fiduciary agent. We will make this transition official in early December to be affiliated under their 501(c)3 status but will remain independent to make decisions. FORWARD’s school and worksite strategies are also expanding. We have recently selected four new schools in DuPage County in partnership with Action for Healthy Kids. We will be working in partnership with these schools to implement school wellness policies and help improve the practices and environments for students. And while we have been working with the health systems serving DuPage residents for the past four years to improve their food and beverage environment, we are excited to report that they have selected five businesses in their catchment areas to help implement comprehensive employee wellness plans, including environment, policy and program support. 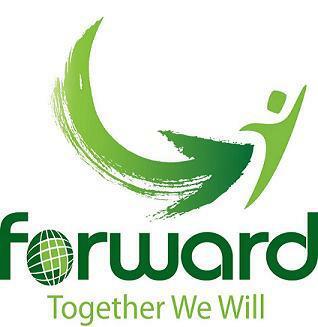 If your school or business would like to work with FORWARD, please let us know. Talk about expansion, FORWARD’s “Get in The Action” Day at the DuPage County Fair was a huge success! At the request of the fair organizers, FORWARD and our partners offered a variety of active and healthy stations for guests visiting the county fair on July 26th. It was refreshing to see so many kids and adults biting into apples and getting their heart rate up especially in a place where people like to indulge on deep fried foods and sweets. We estimate that more than 1700 children and families experienced these healthy games and nutritional experiences. We could not have done it without the passion and support from FORWARD Coalition partners and volunteers! Click here to check out our Facebook page for photos from our “Get in the Action” Day. We look forward to seeing you at the fair in 2018! If you are interested in getting more involved with FORWARD or one of our strategies-Healthy Schools, Worksite Wellness, Healthy Municipalities, and/or Healthy Early Childhood to improve the health for DuPage residents, please contact Tonia Batogowski at toniabato@gmail.com . In the meantime, get out and take a walk to reflect and watch the leaves turn. Enjoy this magical season of change. ProActive kids is a local (Lombard and Woodridge) health promotion and education program offered free of charge (no insurance required) to children ages 8-14 that are struggling with their weight (85th percentile and above in their BMI). The program is comprehensive and all-inclusive, and treats the whole child, physically, nutritionally and emotionally. ProActive Kids is built around the stability and commitment of family. This is not a prevention program, but a data-driven, results-oriented intervention program. Seventy-one point six percent of participants lower their BMI, and 75% lower their body fat. Click here for outcomes data. -Increasing muscle mass and decrease body fat, weight and BMI. -Creating healthier habits in food selection, cooking and eating through nutrition education. -Building confidence, self-esteem and communication skills. The next session begins January 23rd, 2018. Click here for more information. A Sad Day for Illinois: We are disappointed that the P.E. requirement for Illinois schools was reduced to three days per week. With strong science linking enhanced physical education and physical fitness to improvements in health, academics and behavior, FORWARD's Coalition members will continue to advocate for strong, daily physical education in all Illinois schools. The Forest Preserve District is hosting community meetings and invites DuPage County residents and forest preserve fans to help it determine which projects and initiatives to address over the next five years as part of a master plan. Join a meeting at convenient locations around the county, and help us to plan the future in your DuPage forest preserves! Click here for more information. Join us for our annual in-person coalition meeting. Registration deadline is October 16. Click here for more information and to register. Professional development for teachers on implementing enhanced programming, aligning curricula and administering fitness tests. Register now. Conference sessions highlight successful school health, wellness related outreach in schools, innovative projects and emerging issues. Find out more. Join other leaders and practitioners to learn more about the connectivity between issues and explore opportunities for collaborative work. Register today. The workshop will cover information on evidence-based nutrition practice guidelines, CQI plans and tools for DSMES programs, marketing plans, Medicare Chronic Care Management benefits, E.MA. tools for successful behavior change, challenges and common problems in older adults and much more. Register today. Join several public health institutes for the first-ever Midwest Forum to explore how multiple sectors can work together to solve complex issues to improve community health. Find out more here . Learn to identify over 200 edible wild plants that grow in our bioregion, eat wild foods, and take guided plant ID walks during every class. Register early to save! Learn how to transform any landscape into a permaculture edible forest garden. Register early to save! Connect with nature and the plants that nurture your well-being. Learn the nourishing and healing benefits of bioregional plants for maintaining health and healing common ailments. Prepare herbal remedies. Learn about body systems. Register early to save! Help market the FORWARD Initiative! Do you know of an upcoming event or health fair in DuPage County? We have marketing materials available for our coalition members. Please contact us if you are interested in distributing health and wellness materials at an upcoming event. Call us at 630.221.7550 or email healthpromotions@dupagehealth.org .